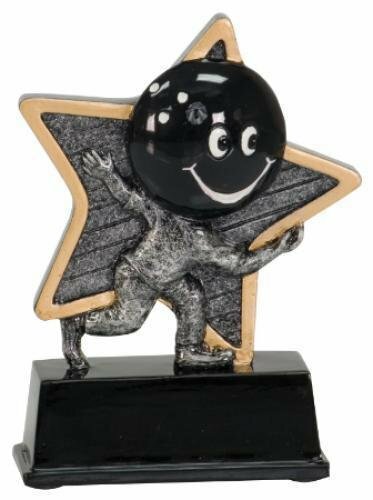 Bowling Shooting Star Resin. 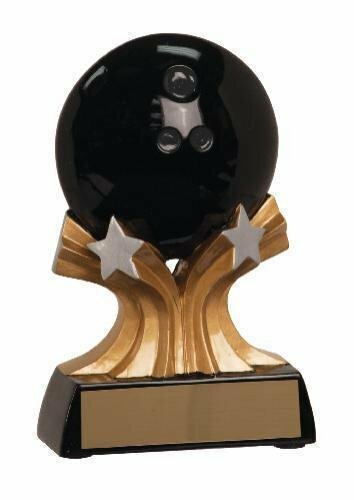 A fun and lively resin trophy with a bowling ball resting on shooting stars. 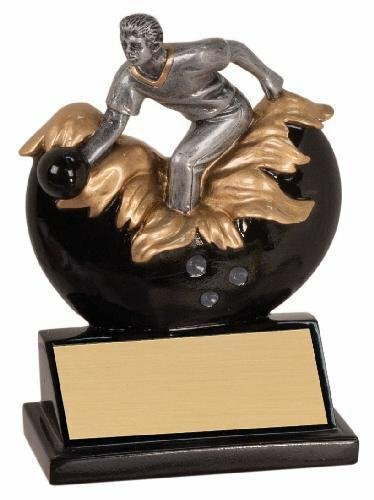 This is a great choice for an economy bowling trophy. 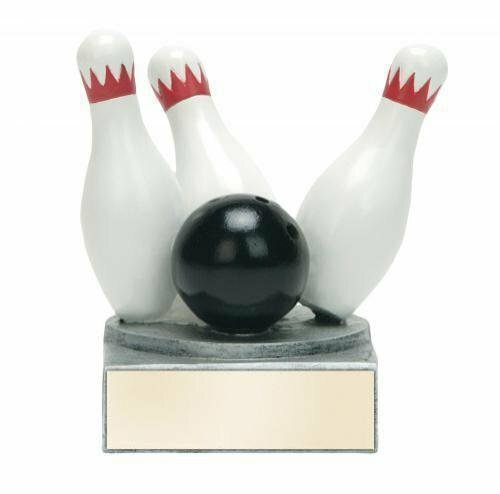 Choose a cheap bowling trophy for your team or tournament trophy event. 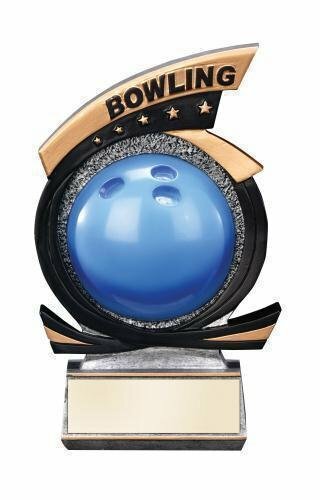 FREE Shipping is available on orders cheap bowling trophies over $100. FREE Engraving. Female Bowling Explosion Resin won't actually explode, but will definitely catch your eye with the unique explosion effect. 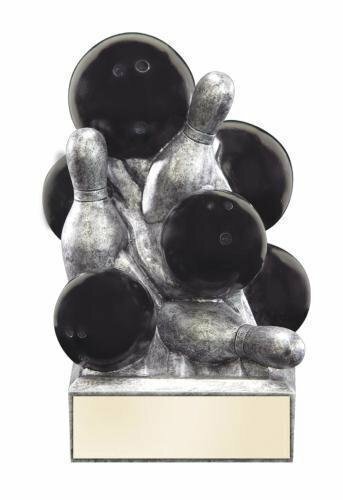 The Little Pals Bowling Trophy has a brushed gold laser engraved plate with black letters. 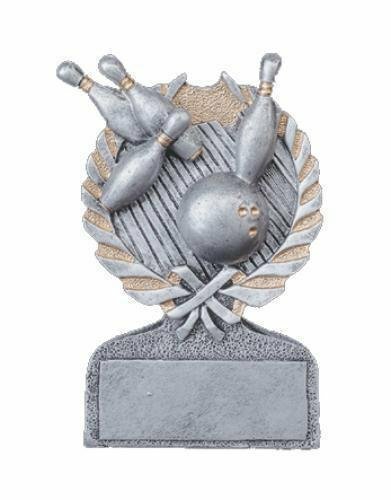 This little bowling award is an adorable inexpensive trophy. Male Bowling Explosion Resin will not actually explode, but will excite your eyes as the male bowler explodes out of the Bowling ball. 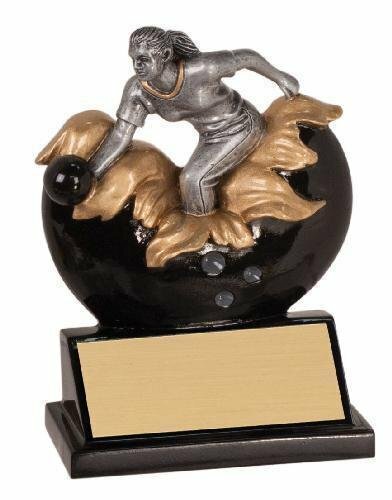 The Centurion Bowling Trophy is a popular choice. 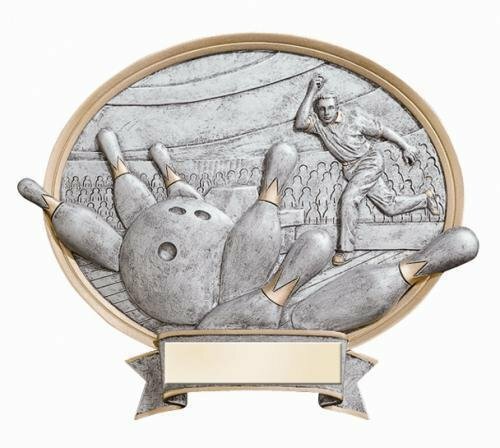 The Bowling Award comes with a brushed gold, lazer engraved plate.